Deciding on the best words to describe your wedding style? Here are a few common adjectives, along with their definitions and inspiration to get you started! 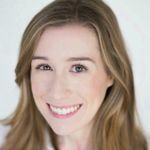 Having a wedding vision in your head is one thing, but understanding how to effectively turn your ideas into a cohesive theme while also communicating your style to your wedding vendors is a different story. We’ve taken some of the most popular words to describe your wedding and broken them down into easy-to-understand definitions, so you can pinpoint your exact style in order to design the wedding of your dreams! Read more about the most popular words to describe your wedding style. Whether or not you’re actually getting married at the beach, this wedding style is all about pairing nature-inspired details (seashells, driftwood, tropical flowers, etc.) with laid-back elements to create a casual, easygoing aesthetic. 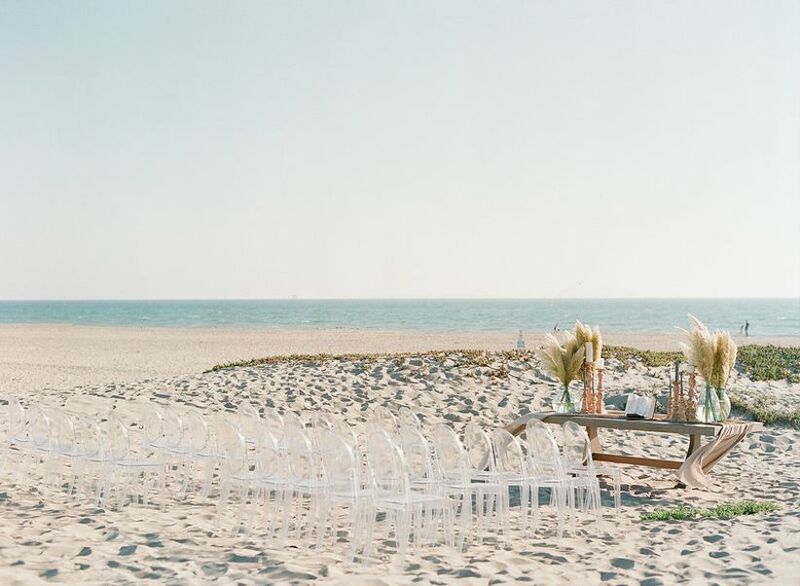 If you’re opting for beach wedding style, try to embody the carefree vibes that are synonymous with a seaside vacation. 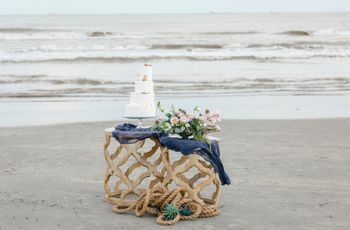 Beach style is also a fun excuse to try out non-traditional details, like mermaid wedding ideas, nautical details, or a modern tropical theme. This style is for the hippies (or hippies-at-heart) of the world. 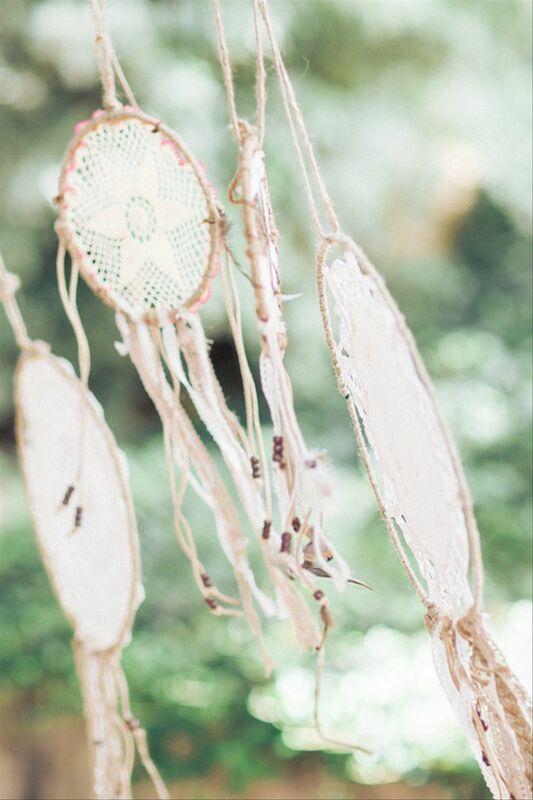 Bohemian wedding style is best known for flower crowns, oversized bouquets, mismatched bridesmaid dresses, and unexpected decor pieces – like giant dreamcatcher backdrops. 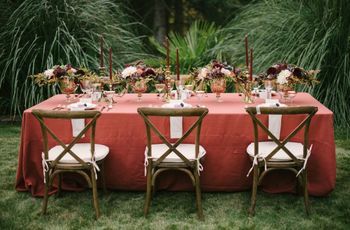 While this style is commonly tied to outdoor venues (like a wildflower field or lush forest), it’s relatively versatile for indoor locations, too, such as a barn, industrial space, greenhouse, or art gallery. Classic wedding style is ideal if you’re looking to evoke timeless elegance and the utmost sophistication on your wedding day. This style steers away from over-the-top trends and flashy details, opting instead for a perfectly-coordinated aesthetic with decor that is chic and refined. Achieve classic wedding style through matching centerpieces, fine china, high-end linens, and a carefully-chosen wedding color palette. Venues like historic estates, ballrooms, and country clubs are naturally suited for classic wedding style. 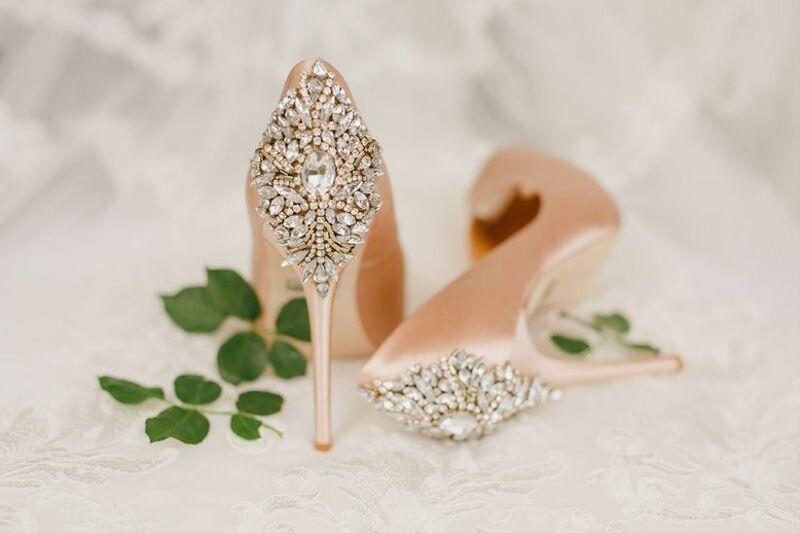 If you love to make a statement, glamorous wedding style might be the perfect fit for you. 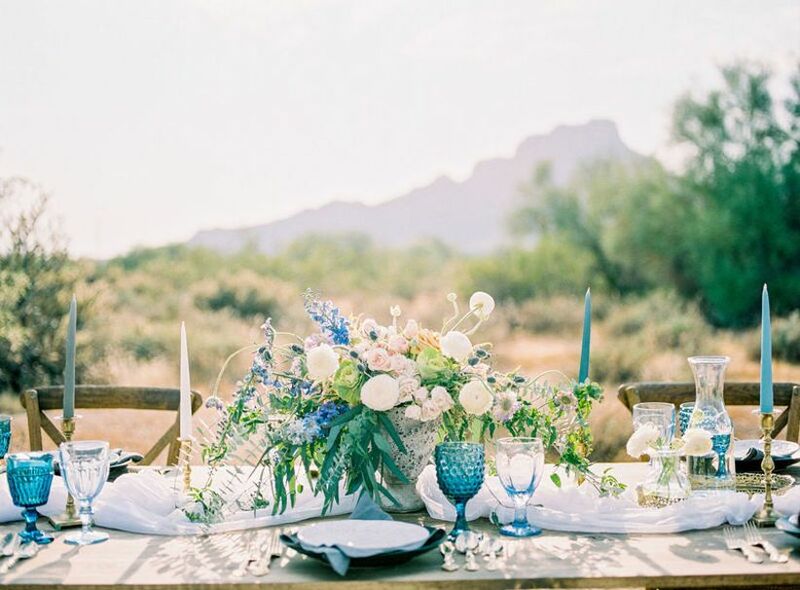 It’s a fabulous opportunity to go all out with your wedding details, from sparkly table linens and strands of crystals to oversized floral accents, sequined attire and, of course, a chandelier or two. 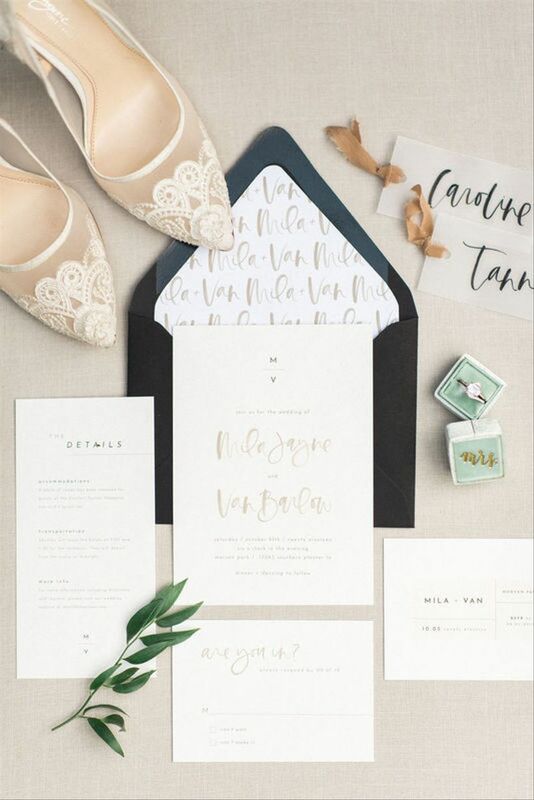 For couples embracing a “less is more” mindset, minimalist wedding style is a great alternative to other aesthetics that put an emphasis on elaborate details and statement-making pieces. 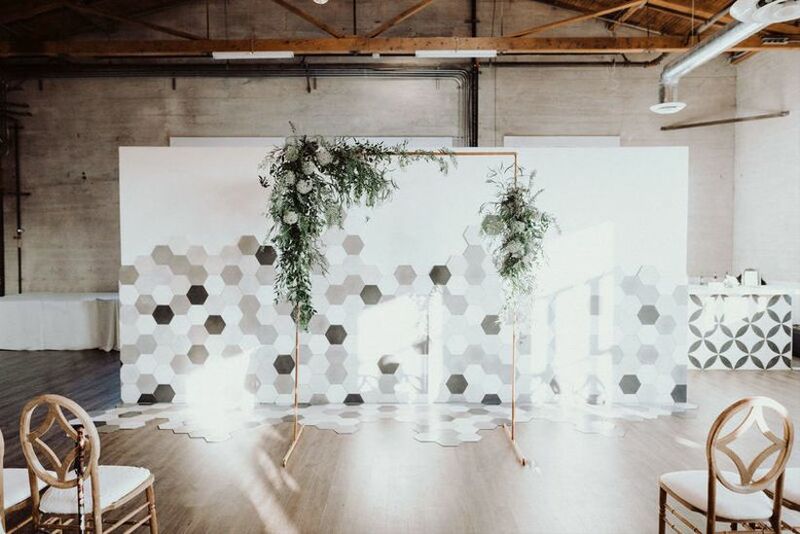 Some of the major components of minimalist wedding style are neutral color palettes, sleek and modern decor, and blank space wedding venues, particularly ones with industrial undertones and finishes (like a refurbished warehouse or converted factory building). Regardless of style or theme, weddings are always romantic events. But in terms of words to describe your wedding, romantic style is a specific concept that focuses on creating an enchanted, fairytale-inspired vibe that's worthy of a modern-day Cinderella. Imagine a garden venue filled with floral-covered trellises, exquisite table settings, and plenty of twinkling candle decor to set the mood. 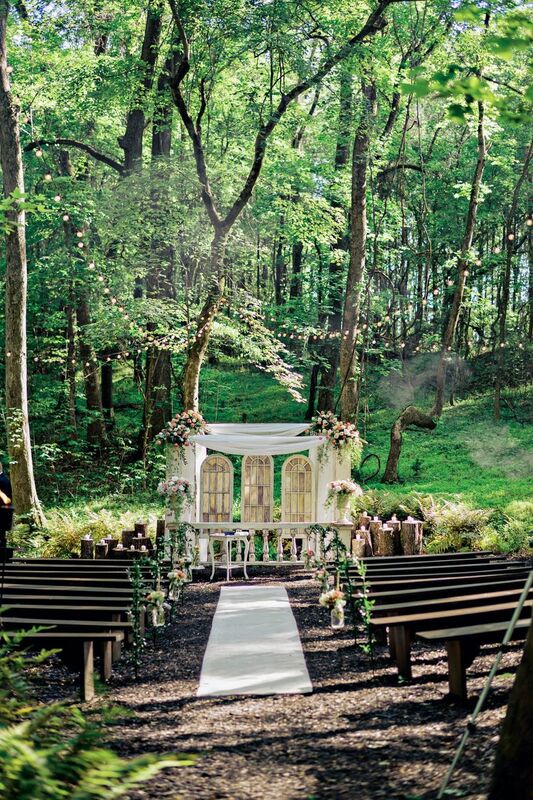 Dreaming of a wedding with lots of countryside charm? 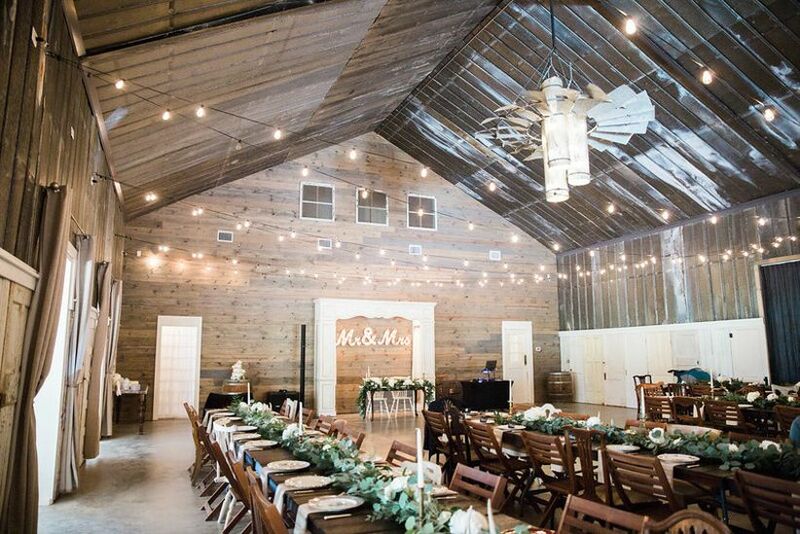 Rustic wedding style is an obvious fit for barns, ranches, or farm venues. Traditional rustic weddings incorporate lots of pastoral elements, like mason jars, cowboy boots, hay bales, and burlap. 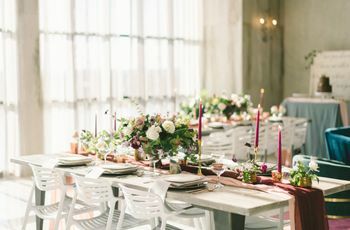 Over the years, rustic wedding style has evolved into a relaxed-yet-updated farmhouse aesthetic (à la Joanna Gaines), with couples skipping the mason jars to embrace a mix of modern and rugged elements instead. Shabby chic is a combination of two styles — it’s less country than rustic, but not as “proper” as romantic. It’s also a little bit vintage, with an emphasis on creating an eclectic feel through the use of mix-and-match pieces, antique items, and handmade accents. Shabby chic wedding style typically includes a pastel color palette, along with lots of fresh flowers, playful details, and outdoor venues. This is one of the most popular wedding adjectives, but it also has a lot of different interpretations. 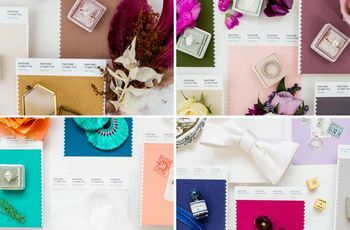 Vintage wedding style encompasses a range of ideas, from themed weddings inspired by The Great Gatsby and the roaring 20’s, to Old Hollywood glamour and 1970s bohemian. 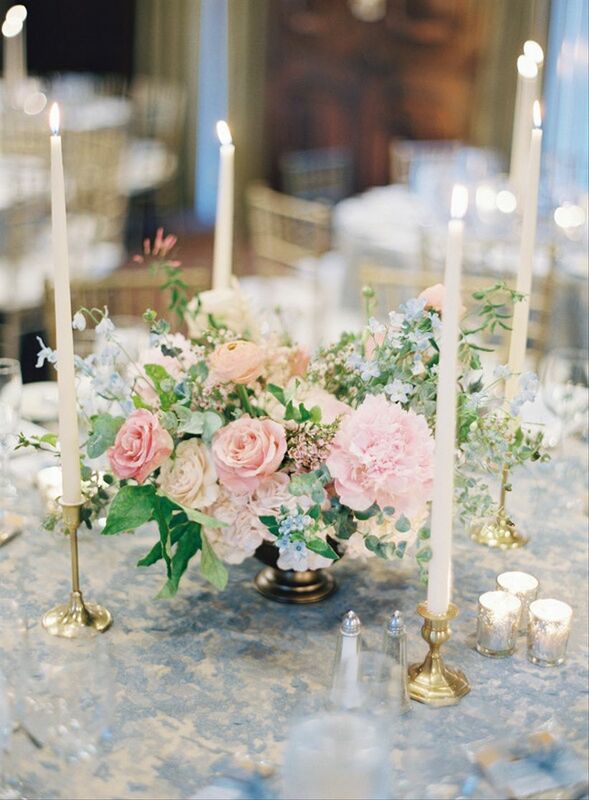 For a vintage theme that’s not tied to one decade, we love Old World wedding style, which incorporates luxe details like heirloom furniture, ornate candelabras, and European-inspired venues to transport you back in time. “Whimsical” is one of the more ambiguous words to describe your wedding because essentially, this style is whatever you make it to be! 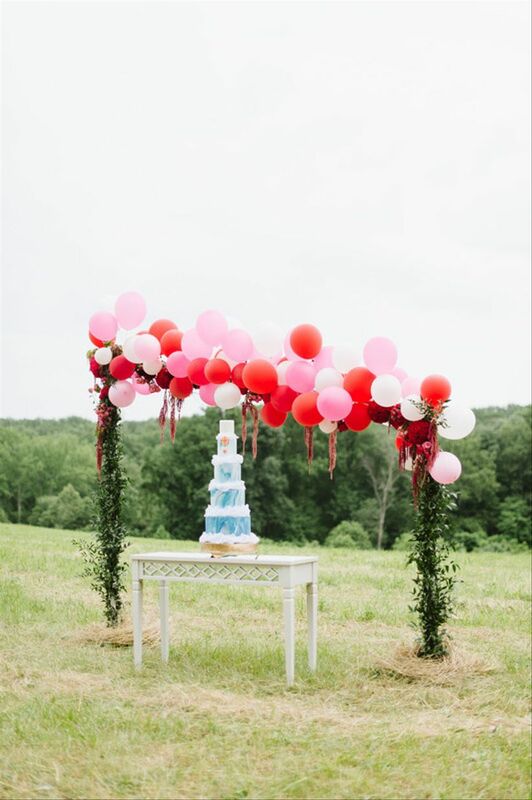 Whimsical wedding style is great for couples who don’t want to take themselves too seriously and are looking to shake things up on the big day. 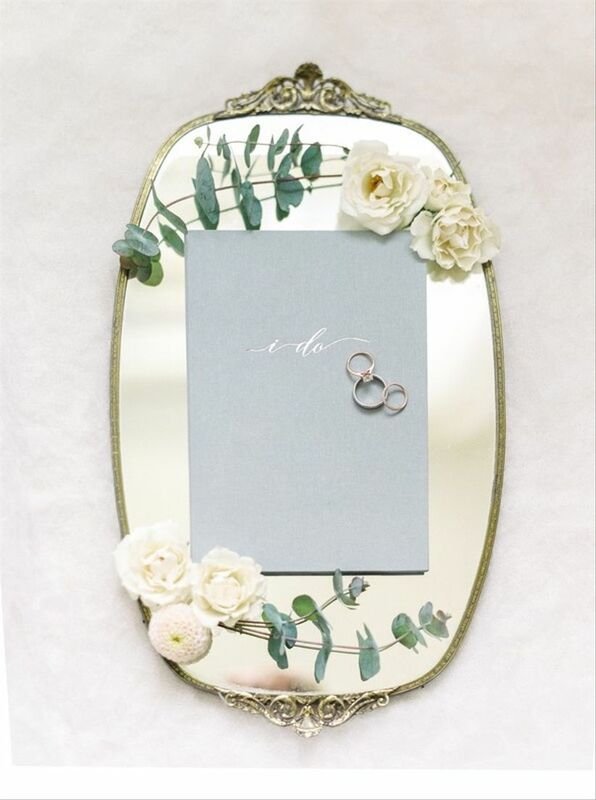 This playful aesthetic provides the opportunity to incorporate non-traditional pieces, such as ribbon streamers, unexpected table names, a bold color palette, or ultra-trendy ideas, like geode wedding decor!